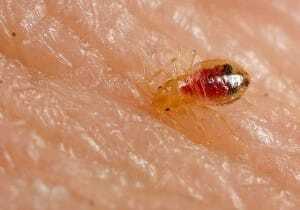 The truth is that many popular methods of removing bed bugs are not that effective. Chemicals and pesticides have a pretty high success rate. But there is also a good chance that you will be affected. This is because the amount required to really work can also do a little work on you. Please use with caution. Use pesticides with pyrethrum or pyrethrin. Temperatures and vacating are effective but extreme. Bed bugs need to eat to survive and reproduce. If there are no warm-blooded hosts living in an area sooner or later they will die. But this is in the area of months not days. Likewise, the bugs cannot survive extreme temperatures. Less than 32 degrees and over 120 degrees are too extreme. The time required for those temperatures to work is at least several days. Covers over upholstered furniture and your bed are very normal and common methods of dealing with bed bugs. The concept is simple. You seal them in and they die, you seal them out and they cannot get in. Clutter is the opposite. Clutter gives the bugs many places to hide and prevents you from being able to reach areas where the bugs can nest. Get rid of the clutter and clean. Getting rid of dirt is not the point; the point is that when you clean you are cleaning up the bed bugs. Vacuuming and shampooing frequently is probably the most common method. They are most effective when combined with other extermination methods. Hot water launders everything you can. Again it is not about cleaning up the dirt it is about cleaning up the bugs. In conclusion, those are very common techniques and the best technique is all of the above with persistence. Each of the above methods does some good. The extremes you would have to go to in order for one concept to work completely would probably not be a good idea to do by yourself.